When there is a need for a new team member, whether as a replacement or to support growth, the most obvious solution for an IT employer is to hire the person with the closest relevant skills and experience. However, good hiring decisions are not merely a question of experienced vs. inexperienced employees. Past performance doesn’t necessarily correlate with success in the future, or automatically qualify someone for the job. 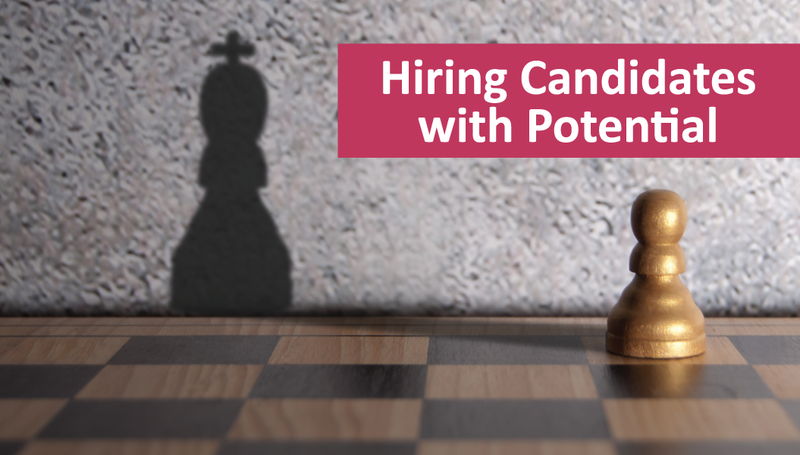 Sometimes, finding the ideal candidate requires looking beyond the obvious choices and recognising candidates that have the potential to not only thrive within the current role but continue to add value to the business in the long term. There are also other benefits that come with hiring someone based on their potential, including significantly expanding your potential talent pool, reducing salary costs and growing your pipeline of future leaders. With this in mind, here is our advice on how to identify and recruit candidates with potential. Potential is described as the capacity to grow, improve and develop into something in the future. When hiring for potential rather than simply hiring for experience, it’s important to expand the initial search parameters before you even begin to review CVs. This will help to bring new candidates into the mix who may not have previously made the cut due to some areas of their experience not matching the role requirements. Once you have an expanded pool, there are several opportunities to identify potential during the recruitment process: the CV review, the interview and the references. Examples of learning new skills, such as by completing in-house training in the past. A commitment to improving the way things are done rather than sticking with the status quo. Instances where they have overcome challenges or hurdles in their job. Quantifiable results, such as direct contributions to team or business goals. If you’re still unsure whether a specific candidate has the potential required to succeed in your organisation, speaking to people that they have previously worked with will provide added insights to help you make your decision. In this scenario, it can be helpful to provide the referee with an overview of the role the candidate is expected to perform and the future goals associated with. This way, the referee can provide feedback on the candidate that is specific to the challenges they may face. Hiring for potential is no easy task, which is why many IT employers resort to looking for the exact experience needed at the time rather than thinking long-term. By changing your hiring strategy, you can equip your organisation with talented, engaged employees that will continue to grow, add value and build quality leadership well into the future. If hiring potential is the best approach for your business, partnering with a specialist IT recruitment agency will give you the support you need to succeed. For more information on how we can help, feel free to get in touch with the team at Sourced.